A few weeks ago we introduced readers to the new more colorful line-up of D-Link routers including the new DIR-818LW. This batch of consumer friendly home routers promises to not only bring you the latest in home networking connectivity with dual band Next Generation AC750 technology and Gigabit LAN but also promises to 'Bring Color To Your Life' and add some style to your home network with four different colors to choose from: Red, Teal, Black and White. D-Link says the new routers are perfect for any house looking for a reliable and strong home network ideal for HD video streaming, online gaming and multiple user activities. Next Generation AC750 Technology for increased speed, range, and reliability to ensure coverage throughout your home. Dual Band Performance for faster speeds with less Wi-Fi interference and maximum throughput. Four 10/100/1000 Fast Gigabit ports give you high-speed wired connectivity. Backward Compatibility to work with existing and future Wi-Fi devices. mydlink Cloud Services to remotely monitor your network using your smartphone or tablet. Setting up most home routers these days is a snap. Gone are the days of needing to load extra software and fumble through several different screens, while trying to figure out several different default passwords. 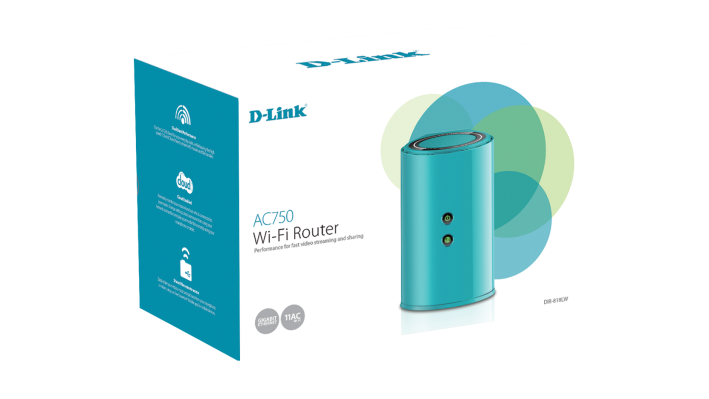 D-Link offers a quick easy guide to get you started and the router walks you through most of the snags you might hit. For us it was pretty much a matter of plug and play. Start with powering down your network all the way up to the modem. Connect all your wired connections and start powering on your devices. Start with the modem first, allow it to make the hand shake with your ISP and make sure the connection is up and running. Then power on your D-Link DIR-818LW. Once you green lights across the board, indicating a good connection, power on your PC, laptop or whichever device you are going to use to finish the setup. From there you can log into the http://dlinkrouter.local homepage or http://192.168.01 and you'll be guided through the rest of the setup. We found the basic setup to be fairly intuitive and easy enough that the average consumer shouldn't have any issues. 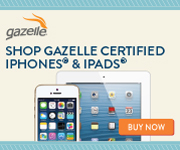 You'll be prompted to setup the basics like wireless security, network passwords ect. For any entry level router such as this, targeting the general consumer, I'd like to have seen a more user friendly interface. However, the basics are easy enough to navigate, yet it still offers the most demanding geeks all the tools and toys they need for tweaking their networks to perfection! Testing performance, speed and range can be a bit tricky. There are a wide range of factors that have negative impacts on wireless networking performance. Things like obstacles like walls and surround terrain, what channel your router uses, the placement of the wireless router, and even interference issues from other routers or everyday items like cordless phones, microwave ovens, ect. can all contribute to poor performance. In our testing we try to set each router up with the same basic settings in the same basic environment. Given this is our first dual-band Wireless AC router we were a bit surprised in some areas and a bit disappointed in others. Speed and range wise we saw a slight boost over our Linksys E4200v2. Utilizing the 2.4Ghz band and at the furthest possible testing distant there seemed to be a very noticeable boost in speeds. General testing under normal ranges there wasn't any significant change, nor did we expect any given the equipment used. Testing under the 5Ghz channel we saw a bit of disappointment as range was fairly limited. This wasn't surprising as generally the higher frequencies bands tend to have lest range than that of the lower frequency bands. While we did have coverage throughout the office, we would like to have seen a bit more performance. With the 2.4Ghz band we saw nearly twice the range 30-60ft was our max testing radius and the 5Ghz band saw significant drop off at 15-20ft. For those looking to make an upgrade from an older Wireless N, or god forbid Wireless G router and and are finally looking to break into the AC router market, the DIR-818LW won't be a bad option. As an entry level device it offers solid performance and offered a lot of options for a nice price. If you already have a top notch Wireless N router such as the Linksys E4200v2 or another router offering 900Mbps speeds, then the speed and range will be fairly similar, making it a bit less of an upgrade option. For those users you may want to spend the extra money and get something with a bit more bang and more speed like the D-Link DIR-850L or another router offering AC1200 or above speeds. The one aspect we loved was the dual channel option. At any given time we have 10-15 connected devices ranging from tablets, to phones, to PCs and laptops, even a couple streaming devices like the Chromecast streaming content. It was great to have a dedicated channel to offload some of the connections to giving them their own dedicated network and bandwidth. With that we never once saw a slow down even when streaming across multiple devices. The one major aspect we found flaw with oddly enough wasn't the router itself. It was with the mydlink website and remote interface. The site utilizes Java which we tend to not have installed on our devices due to a) not using it almost anywhere else on the web and b) security concerns over the past several vulnerabilities. Other than that, for the average home user, we found the D-Link DIR-818LW to be well worth the $79.99 price tag.